Home » Our Doctors » Randall G. Armstrong, O.D. Dr. Armstrong has been a Hoosier all of his life. He graduated from Hebron High School in Porter County, and the Indiana University School of Optometry in 1976. Randy had a practice in Carroll County from 1982 until 1995. He has had an office in White County since 1989. The practice originally was started by Dr. George Bastion, and Dr. Armstrong acquired the practice from Dr. Jay Pass in 1989. Dr. Armstrong lives at Breezy Point, on Lake Freeman. 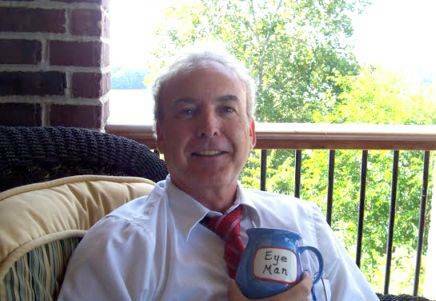 He enjoys reading and having a mocha latte on his patio, as he watches the boats go by.